Lake Athens Marina & RV Park is located on picturesque Lake Athens where our guest can enjoy the great views from the shoreline. 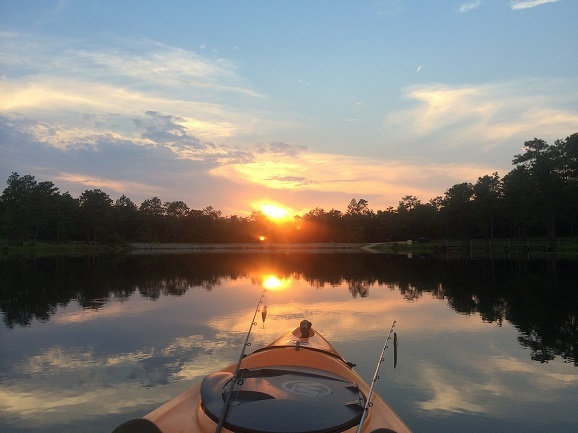 This 1,799 acre spring fed lake is located on FM 2495 and is best known for its largemouth bass. 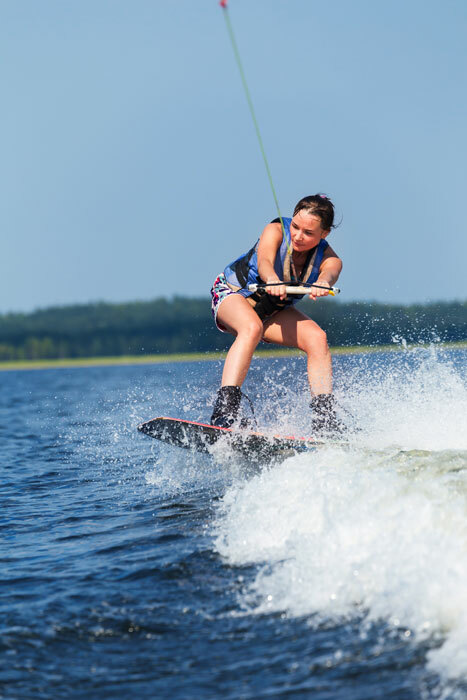 Lake Athens is a great place to enjoy fishing, as well as watersport activities. We have a General Store & Bait Shop on site for all of your bait & tackle needs. The store has live bait (minnows, worms, and crickets). We also offer frozen bait, fishing supplies, soft drinks, snacks, ice, and boat fuel. 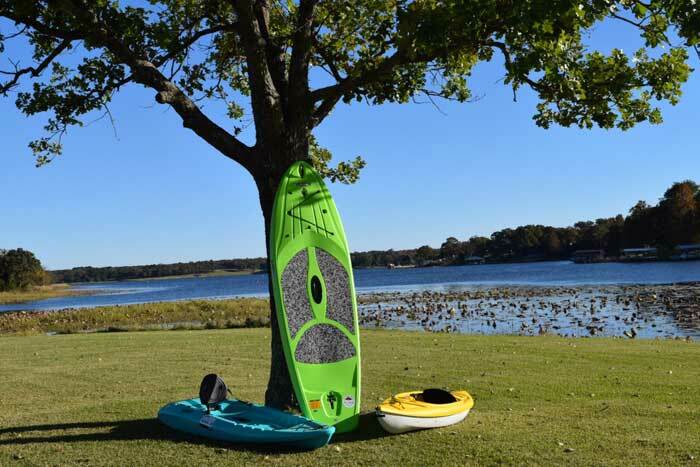 There are kayak and paddleboard rentals available for our guests to go out and experience the beauty of the lake and its surroundings. Our guests can also enjoy a great night sitting around the fire pit looking out over the moonlit lake, cooking out, and relaxing with friends and family. The Park has been updated with new roads and level sites. All sites have 30/50 amp available, as well as full hookups. For the convenience of our guest, we offer FREE Wifi. Also available is our Event Center with a full kitchen for private parties & meetings, family reunions, and wedding receptions. If you are looking for boat storage or RV storage, look no further. 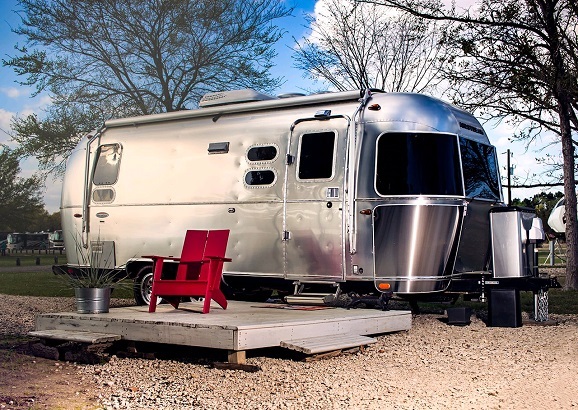 We have storage available for vehicles, boats, boat trailers, & RV’s. Our newly expanded storage offers uncovered, covered, and enclosed storage spaces. The storage facility is secure with a keypad lock gate as well as security fencing. All storage customers have their own entry code to enter the storage facility and have access 24 hours a day. 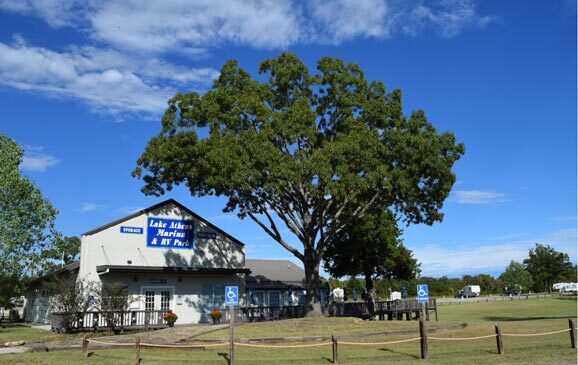 Lake Athens Marina is conveniently located next to the Texas Freshwater Fisheries Center. The Fisheries Center offers 300,000 gallons of aquaria with native Texas fish, a daily dive show, fishing, tram tours, an alligator exhibit and wetland trails to go exploring. No fishing license is required and all bait and tackle are furnished at the Fisheries Center.